Let the experts at Diamond Envy help you design your own engagement ring. 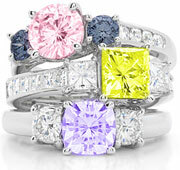 We focus on making gorgeous, custom jewelry featuring colored diamonds, and engagement rings are our specialty. 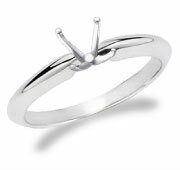 If you want the perfect ring, design one today. Select a diamond, pick the setting you love and submit the design of your dreams. It’s that easy. From the type of precious metal to the color of the accent diamonds, you have control over the entire look. 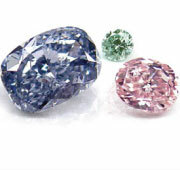 If you don’t want to start with a specific diamond, browse the wide range of settings and let the style guide you. We feature all types, from classic to contemporary to vintage and can even help you create a wedding band to match. If you don't see the style you want, contact us today and we can help you build the ring of your dreams from scratch. Confused about what will look best? Our experts can help you through the entire process. Designing your own engagement ring has never been more simple – and exciting!